The amount of money put into cash Individual Savings Accounts (Isas) has fallen by a third year-on-year, as low interest rates and tax changes make them less attractive to savers. In the 2015-16 financial year, cash ISA holders paid £58.7bn into them. But in 2016-17, only £39.2bn of new money went in, according to latest figures issued by HMRC. Since April 2016, savers can make £1,000 a year in tax-free interest, reducing the tax advantage of Isas. Isas have traditionally offered the perk of being exempt from both income and capital gains tax. At the same time, savings in general have been seeing a decline. According to the Office for National Statistics (ONS), the savings rate - the amount that households save out of their income - fell to just 1.7% in the first quarter of 2017, the lowest rate recorded. The ONS has said the savings ratio has been falling since 2015, suggesting that the decline is driven by low interest rates, which reduce the return on accounts. Rising inflation has made this effect even starker, with the Consumer Prices Index (CPI) inflation rate currently at 2.6%. "Savers finally seem to be waking up to the reality of inflation eating away returns," said Ritu Vohora, investments director at M&G Investments. "Real savings rates have effectively been negative for some time now, when you take price rises into account. "The latest HMRC figures show that annual contributions to Isas averaged £5,558, and we've calculated that putting this amount into a cash Isa in each of the past five years would have created a pot of £27,906. "By comparison, those contributions invested into a stocks and shares ISA could have generated £34,675 over the same period." However, she warned: "Of course, investing does come with greater risk, but savers need to weigh this against the corrosive effect on cash caused by inflation outpacing interest rates." A Treasury spokesperson said: "ISAs are a great way of saving for the future in a tax efficient way and over 21 million people are already using them. 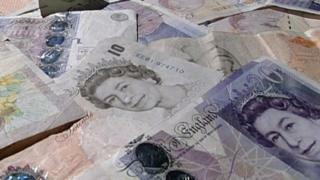 The total amount held in cash ISAs reached a record high £270bn this year."